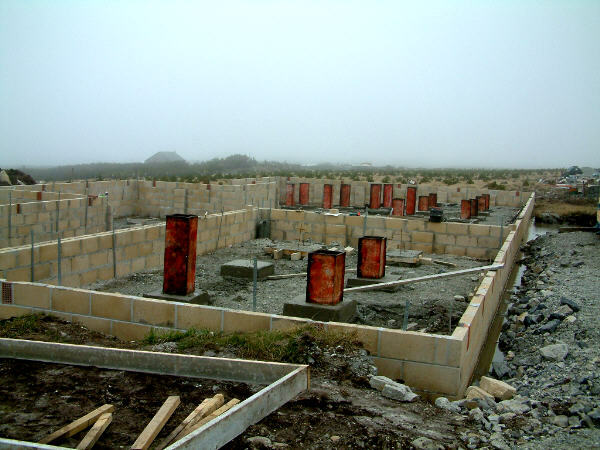 Liberty Lodge is now firmly established in Stanley, the capital of the Falkland Islands, at a cost of £350,000. 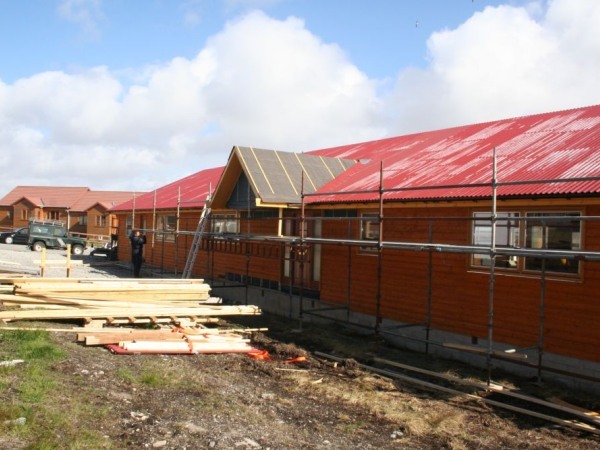 The accommodation is for Veterans of the Falklands War of 1982 and their families, NoK of those killed in action and present day service personnel who are serving in the South Atlantic. 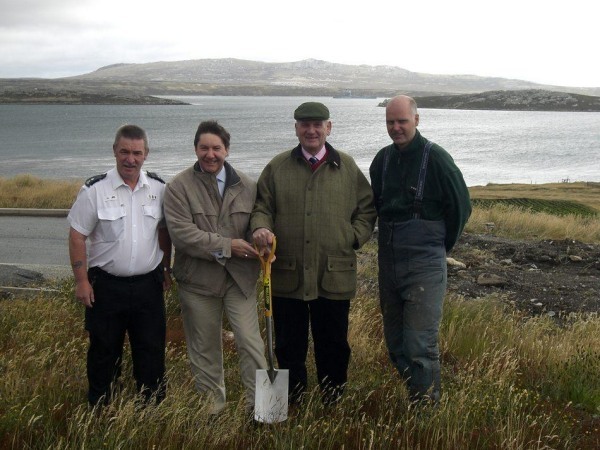 During 'Falklands25', the Commemoration Year, Derek 'Smokey' Cole (CEO, Falklands Veterans Foundation) got together with Tony Davies to raise the remaining funds for the project when the awareness of the Falklands War was at its height. 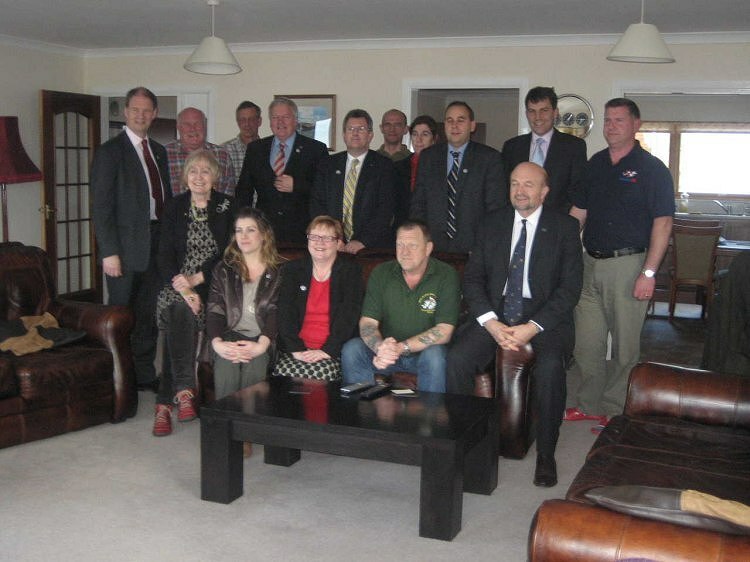 The FVF would like to thank the Falkland Island Government, people of the Falkland Islands, all major Service Charities, visiting Veterans and all supporters of the FVF since its conception. We would like to especially thank Sodexo, Falkland Island Company and Stanley Services for their continued support in providing yearly donations to Liberty Lodge. This has allowed the charity to produce and maintain first class accommodation in the form of Liberty Lodge as a peaceful and tranquil place for Veterans and their families to return to after visiting the battlefields and significant locations, which are poignant to them. For this facility to remain available for the foreseeable future, the FVF continue to actively raise funds for the running and maintenance costs. If you would like to support the FVF, please go to the 'Support Us' page. Alternatively, if you have any fundraising ideas please send us an email. 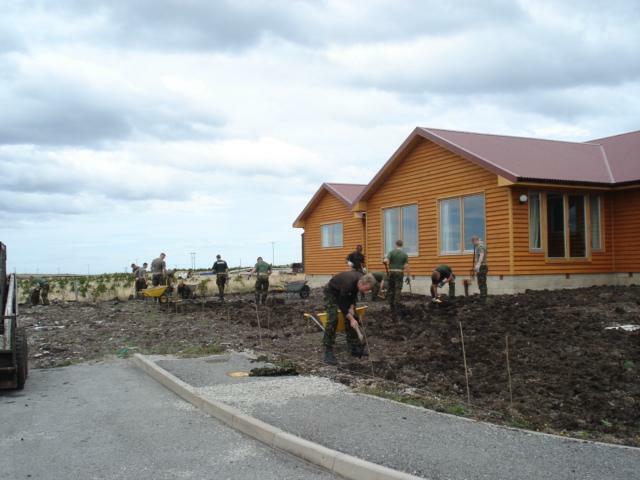 The Falkland Island Government leased the land at Rowlands Rise at a 'peppercorn' rent to enable a place of residence to be built in Stanley, the capital of the Falkland Islands, for Veterans of the Falklands War of 1982 and their families, NoK of those killed in action and present day service personnel who are serving in the South Atlantic when the Lodge is not in use by Veterans and their families. 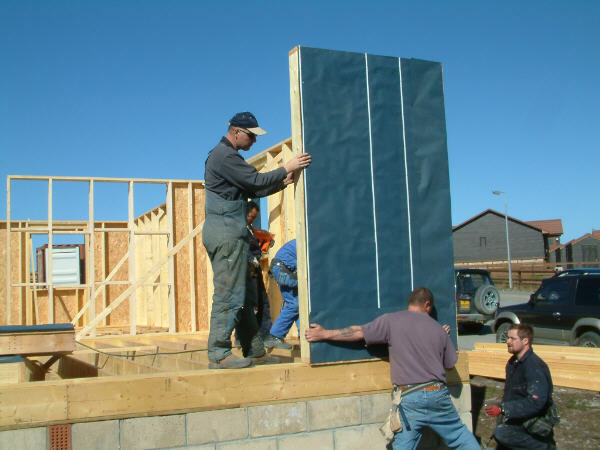 The Stewart Milne Group, Aberdeen, Scotland, produced the timber framed building. 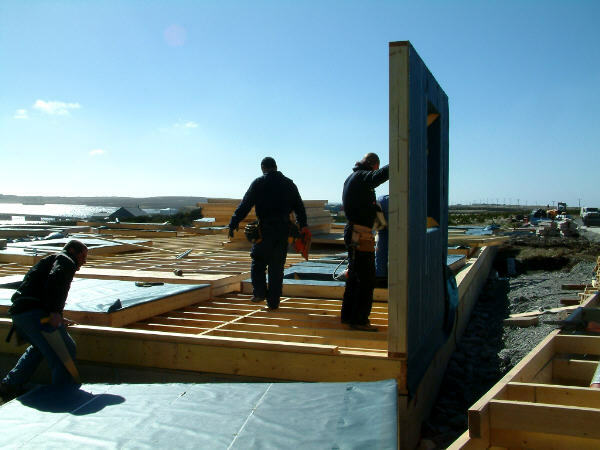 The company liaised with local Scottish companies to supply all the fixtures, fittings and utility equipment required and it was all shipped to the Falkland Islands from Marchwood in Southampton. Ian Stewart Construction Limited, based in Stanley, FI received the containers on behalf of the FVF and started construction in October 2008. 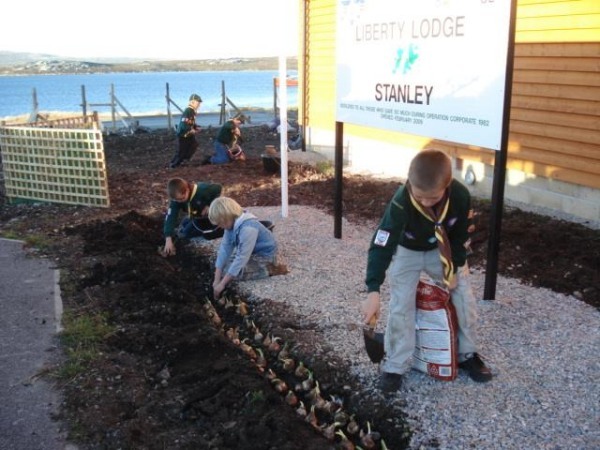 The naming of Liberty Lodge came about when all the school children in Stanley took part in a competition to choose a name for the building. This was very successful, lots of children took part and the name of Liberty Lodge, which was proposed by John Perrens, was chosen. Liberty Lodge is a self-catering facility with 3 twin rooms, all with en-suite bathrooms and a self-contained twin bed flat. 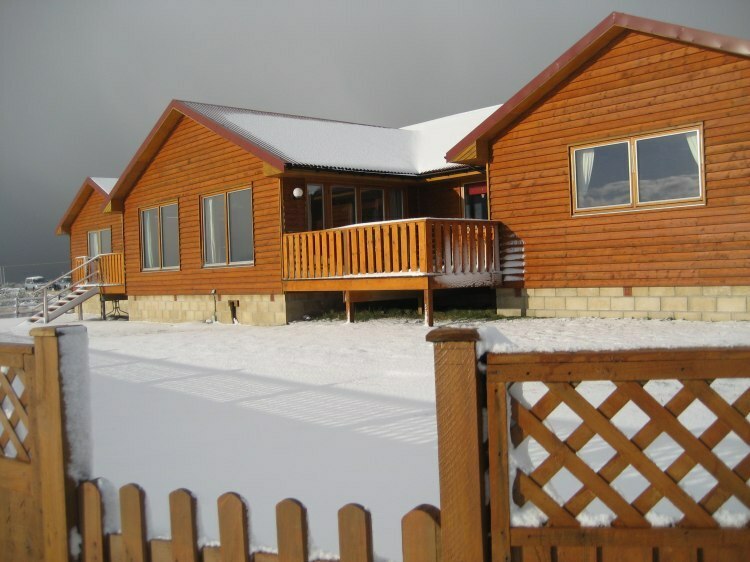 At full capacity the Lodge can sleep up to 12 people. 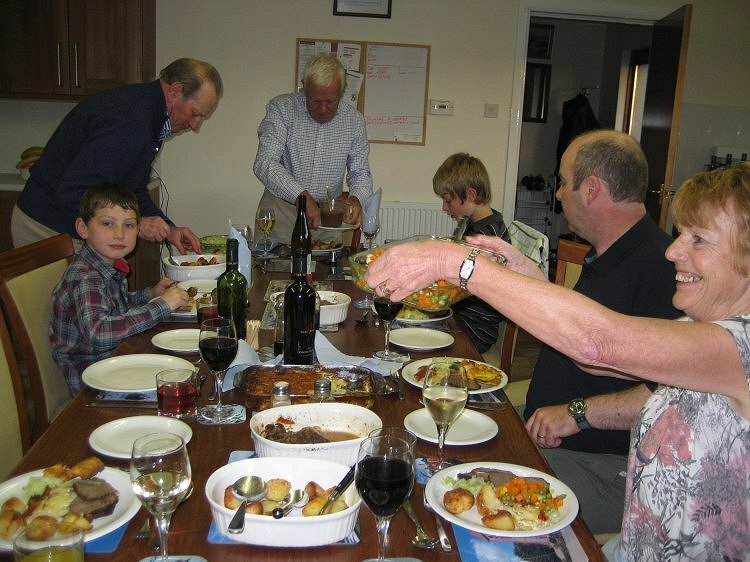 The Lodge boasts a large communal kitchen/diner to prepare and enjoy your meals, utility room and a spacious lounge, which overlooks a beautiful view of Stanley Harbour. It is maintained to the highest of standards. 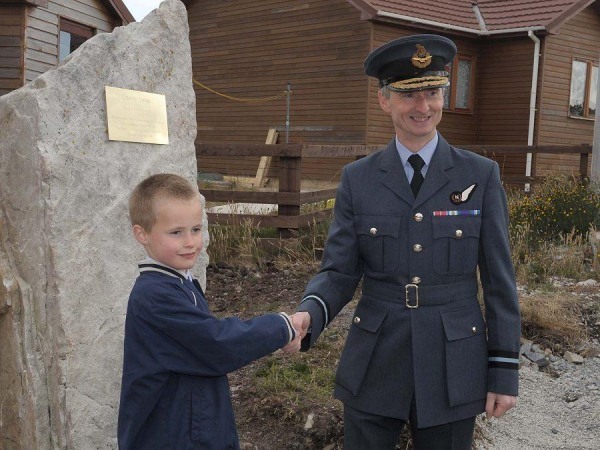 The Lodge has been fully utilised since opening in February 2009 by Veterans, families and serving members of HM Forces. 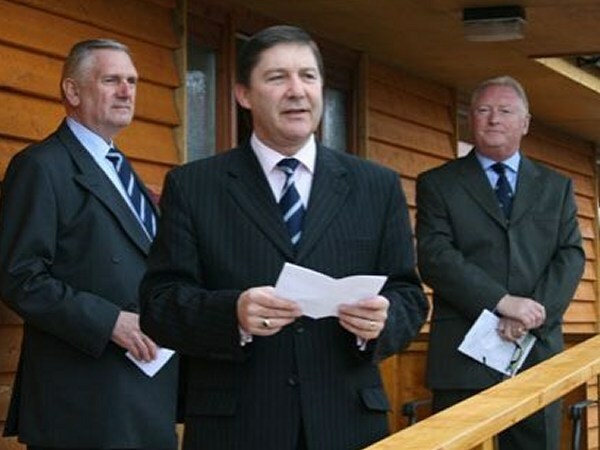 An opening ceremony took place on 3 February 2009 and Liberty Lodge was opened by Air Commodore Gordon Moulds MBE, Commander British Forces, Falkland Islands, who served in the Falklands during the War in 1982, assisted by John Perrens and witnessed by His Excellency The Governor of the Falkland Islands, members of the Falkland Island Government, Derek 'Smokey' Cole, CEO FVF, Tony Davies OBE, (Chairman, FVF), Russell Thompson OBE, Royal British Legion's Director of National Events and Fundraising and our many sponsors in the Falkland Islands. To book accommodation at Liberty Lodge please send your request to fvf@libertylodge.co.fk. All booking enquiries must be made via email. 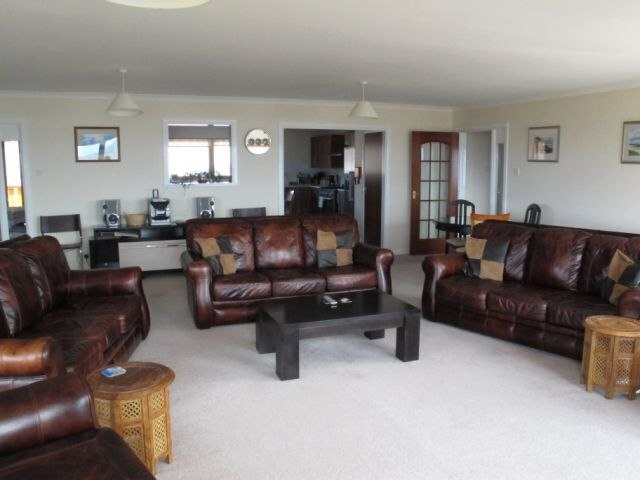 You will need to inform us of the dates you wish to be accommodated at the Lodge. You will receive an email confirming your booking if space is available at the Lodge. Upon receipt of this email you may use the address of Liberty Lodge for the duration of your visit to the Falkland Islands. 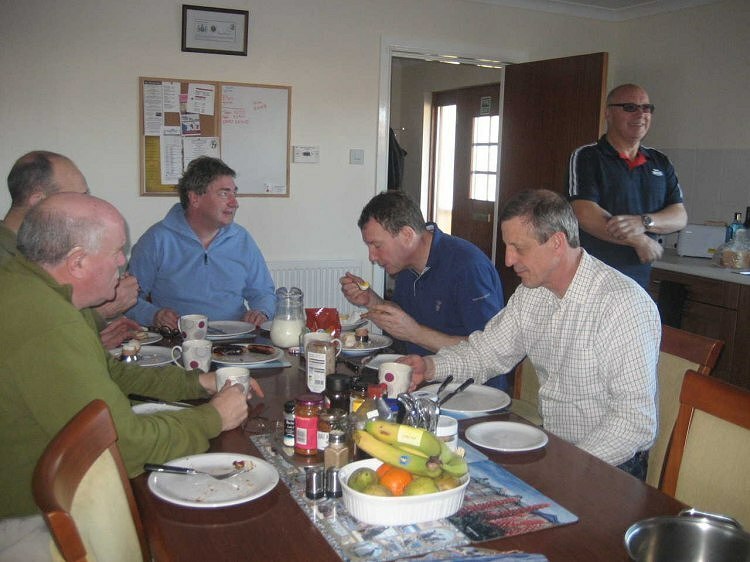 The allocation of accommodation at Liberty Lodge is on a 'first come first served' basis. Please be aware that you would be sharing an en-suite bedroom if the Lodge is at full capacity and each room can sleep up to three guests. A laptop is provided for communal use and Wi-fi is available. Wi-fi and telephone cards can be purchased from the Lodge Manager. Towels and all bedding are provided. 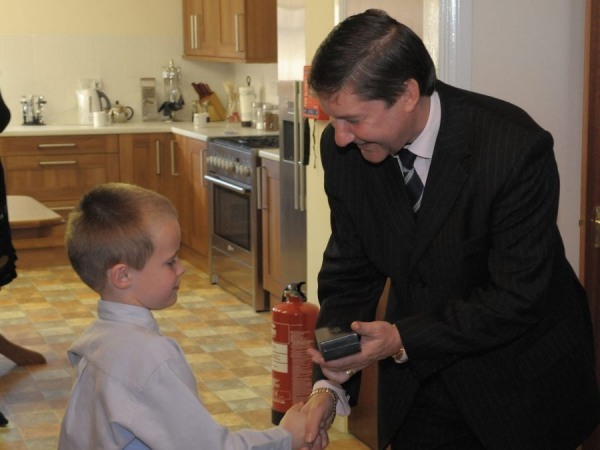 All guests are asked to take into consideration that Liberty Lodge's running and maintenance costs are paid for by charitable donations. The CEO and Trustees of the Falklands Veterans Foundation would be extremely grateful to receive any donations at the end of your stay. Bookings can only be made on an individual basis. If you are a Next of Kin of a serviceman Killed in Action during the Falklands War and wish to visit the Falkland Islands to pay your respects to a loved one you lost, please email us at fvf@btconnect.com for further information. 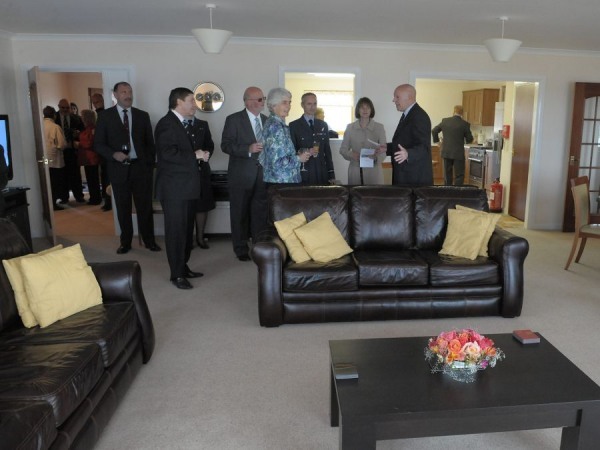 This support will be available for as long as we hold funds that were awarded to the FVF by HM Treasury. Read more. If you fly via the Concessionary Flight Scheme you will be notified approx. 1 week prior to your flight date.